SURKHET, Nov 7: The Public Accounts Committee of (PAC) of Karnali Provincial Assembly has formed a panel to look into expenses made during the inauguration of Karnali-Rara Tourism Year 2018. The provincial government announced Karnali Rara Tourism Year 2075 BS earlier on April 14, targeting to promote domestic tourism in the province. The provincial government recently submitted details of the expenses to the provincial assembly. But it has now been revealed that the provincial government submitted different expenditure details to the provincial assembly and the PAC. "This shows that there is irregularity. 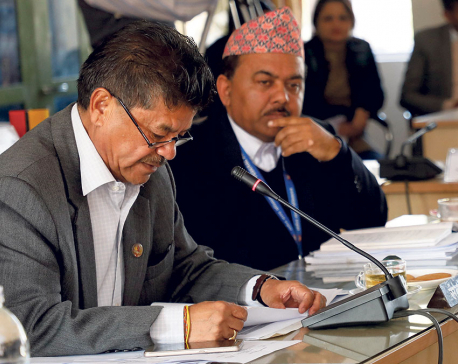 That is why we have formed a panel to look into the matter," said PAC Chairperson Din Bandhu Shrestha. The expenditure report submitted by the Ministry of Industry, Tourism, Forest and Environment to the PAC shows that Rs 7.8 million was spent for inauguration of the event. 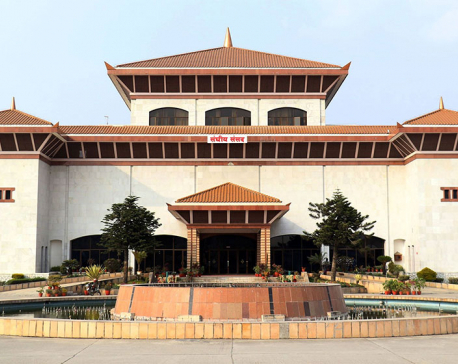 Similarly, expenditure report submitted by Minister of Financial Affairs and Planning of Karnali Provincial Government, Prakash Jwala, to the provincial assembly shows that Rs 6.3 million was spent during the inauguration ceremony. "This shows that there is some discrepancy. We will take needful decision once the panel comes up with its report," Shrestha added. The investigation panel comprises of Karbir Shahi, Gopal Sharma and Jhowa BK has been formed for the investigation. The investigation panel has asked the provincial government to submit all bills and receipts of expenses made during the inauguration ceremony after Tihar holidays. "We will submit our report after going through all the bills and receipts," Gopal Sharma, a member of the investigation committee, told Republica. "If needed, we will also make site observation." According to expenditure details submitted by Minister Jwala, Rs 1.7 million was spent on food and another Rs 1.1 million for media expenses, stage management, construction of welcome gate, and cultural programs, among others. Similarly, Rs 1 million was spent for airfare, Rs 76,000 for surface transportation, Rs 64,970 for food expenses for Surkhet-Rara and Rara-Surkhet, and Rs 554,000 for souvenirs. Other expenses include Rs 412,000 for television advertisements, Rs 258,000 for radio advertisements, Rs 200,000 for miscellaneous expenses and Rs 200,000 for other local preparations. The provincial government has set a target to welcome Rs 500,000 tourists to the Karnali Province in 2075 BS. It had allocated Rs 3 million for the inauguration ceremony. Prime Minister KP Sharma Oli had inaugurated Karnali-Rara Tourism Year 2075 BS from Rara Lake in Mugu district on April 14.